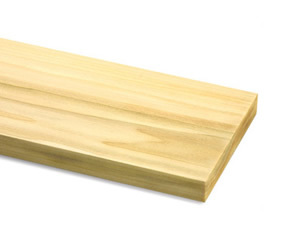 Poplar is a light-colored, softer wood that is more costly than pine, but less costly than oak or maple. It’s generally straight-grained and “woolly” with a fine, even texture. Pale in color, similar to beech and alder, poplar grows throughout North America, Europe, and Asia.